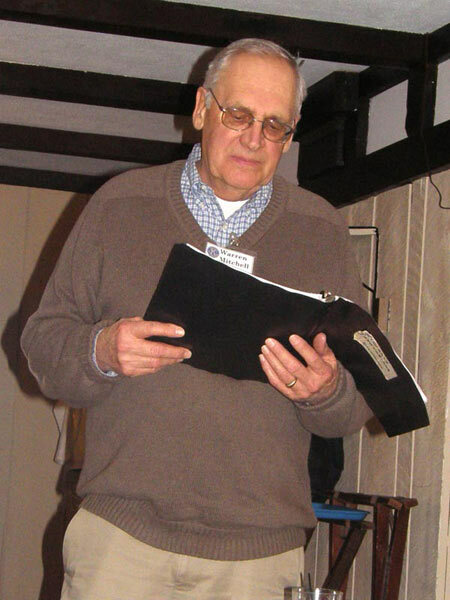 to lead the membership in prayer rather than in song. Fundraising: V.P. Mike Marsh asked everyone in the club to help sell at least 10 raffle tickets. Bike Rodeo: VP Mike is trying to secure the Opeeche Park parking lot for May 8th. 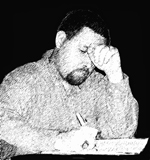 All hands on deck, please check in with VP Mike for your assignment. What's the status of Joe Collie? Steve Loughlin let the club know that he recently spoke with Past President Joe Collie and Joe has set a definitive date to return to the club…June 7th, Hooray! 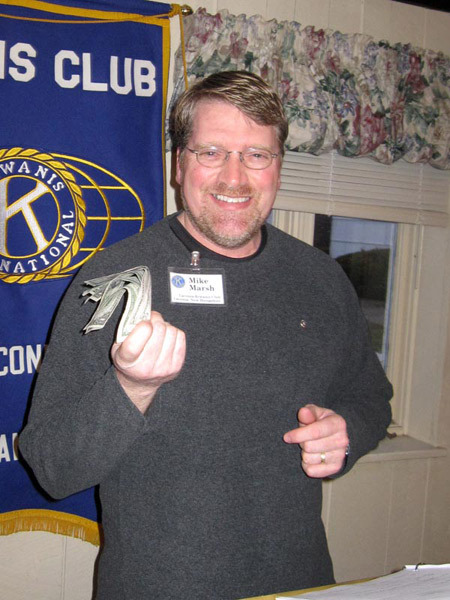 Kathy Calvin reported a very successful Kiwanis KARES event on March 25th. Readers included Angela Stewart, Brittany LaBranch, Randy Brough, Chet Cilley, Kathy Calvin and Johanna McApline. Next event is on April 15th at Elm Street School. 50 50: Mike March won $15.00. Mike is happy. He has now won three of the last four 50/50's. $6 from Mike, One for winning and five because he has had a good work week and landed a few big jobs!! $1 from Joe Adrignola because Mike was nice enough of relieving him of the burden of always winning the 50/50. $1 because VP Mike’s picture was in the Laconia Daily Sun with no K pin visible. 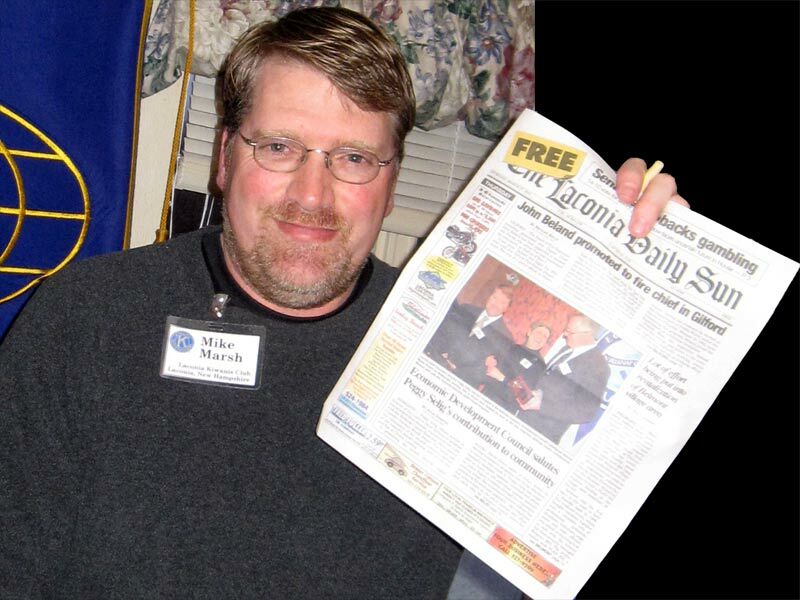 Mike proudly shows the free newspaper for which he paid a buck. Roger Landry introduced Guest Speaker John Southwell and his sidekick, Andre. 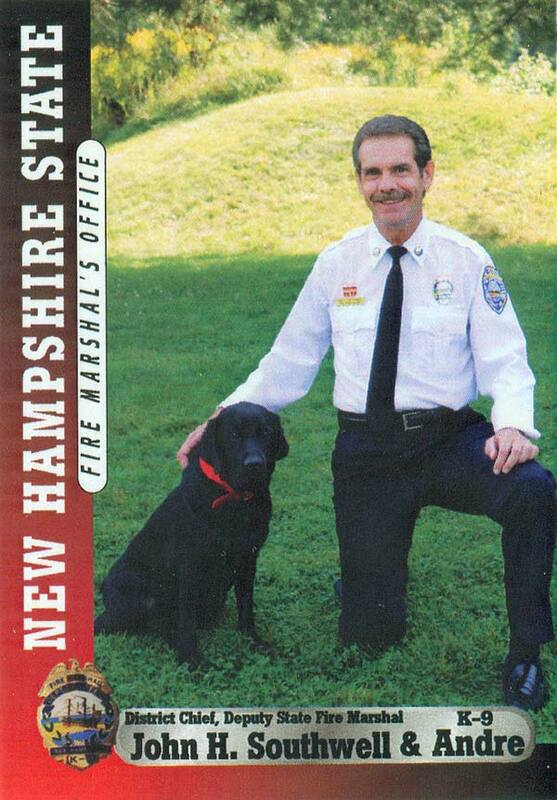 District Chief and Deputy State Fire Marshall John Southwell, originally from CT, has been with the NH State Fire Marshall’s office for 24 years, 20 of them have been as a canine handler. Andre, originally from Florida, is 2 1/2 years old and started his career as a Seeing Eye dog. Andre has been with the State Fire Marshall’s office for 6 months. Andre has been certified as a fire investigator canine by the Maine State Police and Justice System and will have to re-certify every year via blind testing. Andre’s talent is being able to distinguish flammable liquids at fire scenes. Deputy Southwell said that he averages about 10 – 12 fire scenes a month. Because of his extensive training, Andre is able to signal Deputy Southwell whenever he smells petroleum or other accelerants. Deputy Southwell told us that, because most arsonists use way too much gasoline, much of it is still at fire scenes. John lets Andre check under furniture, along walls, in carpets…anywhere that might still have residue. Deputy Southwell put on a demonstration where Andre checked metal cans and picked out the one that had gasoline in it (he was right every time). 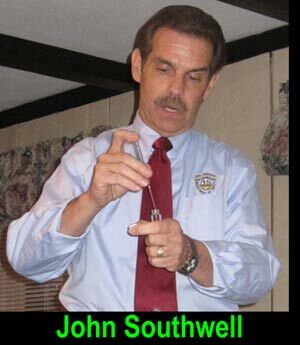 Then, Deputy Southwell left small amounts of gasoline around the room and let Andre signal at each of them….it took a little work but Andre identified every one of them. 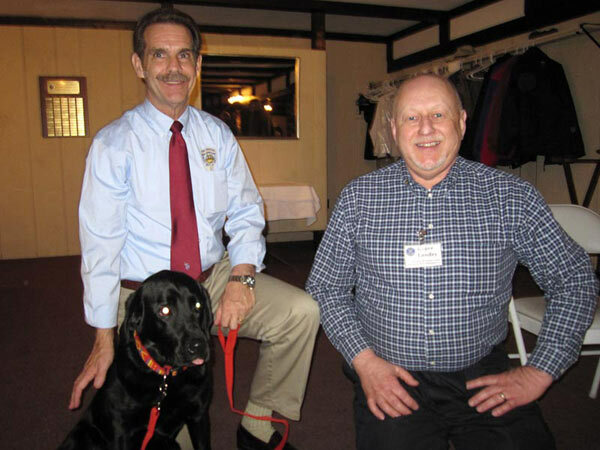 Deputy John Southwell teaches both Andre and Roger to sit. Tonight's meeting was adjourned at 7:24 p.m.